In the past 2 years and a half, our Belgian member BOS+ has been working on the Erasmus+ project: Green Learning Environments. The project has lead to some very significant results for what concern the benefits of playing and learning in nature for children's psychological and physiological well-being. In the following text, provided to us by BOS+, you can find out more about this very relevant research. 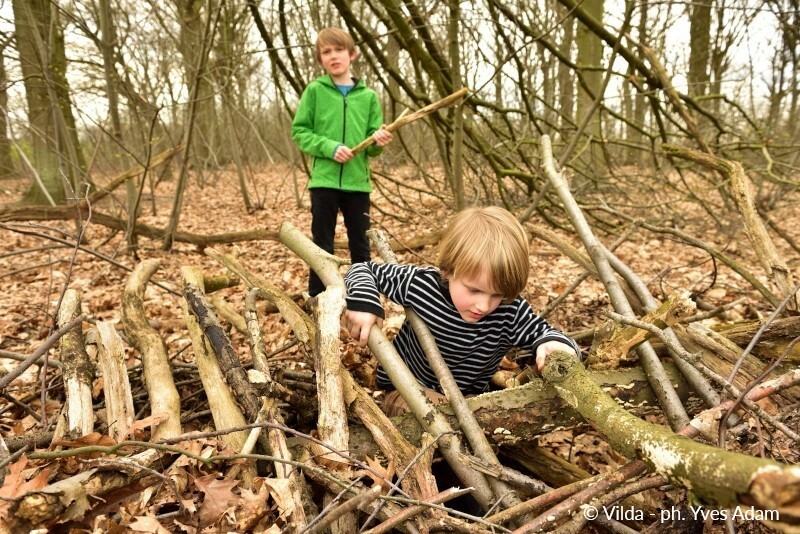 Playing and learning in forest and nature stimulates the imagination, creativity and entrepreneurship. Besides, nature is a great place to gain experience for the development of social and motor skills. The positive impact of a green learning environment is even more significant when working with children with cognitive disabilities, learning disorders, attention disabilities (such as ADHD) and autism spectrum disorders. In an informal natural environment, these children learn better than in a classroom. A green learning environment therefore increases their chances in society meaningfully. From this determination, EFUF partners BOS+ (Belgium), GOZDIS (Slovenian Forestry Institute) and Merseyforest (UK), together with schools and partners from Slovenia and England, has been executing the Green Learning Environments project, with co-funding from the ERASMUS+ programme from the European Commission. Based on the experiences and expertise gathered during the three year project, the project has published a Policy Brief. With this document they aim to raise awareness on the concept of Green Learning Environments and the positive impacts of green environments on learning outcomes for children with mental disabilities. The brief starts with sketching the background and some scientific evidence on the topic, describes obstacles for implementing green learning with children with mental issues, sketches the project findings, and ends with recommendations for practice and policy. Non-formal learning activities in green learning environments should become part of the educational system for all children in Europe. The education systems across Europe should look to provide support for more green learning, including increasing awareness regarding the benefits of learning in natural environment, the creation of sites for teaching in the natural environment and signposting to organisation that can provide support (Jelen, 2018). Learning and spending time in green learning environments can make an important contribution to the increased social inclusion of children with special needs. Green learning environments promote the skills and competences that are important for lifelong learning and the social inclusion of all children. Accessible green should be provided close to schools. Where possible it should be provided within school grounds to allow as many children as possible to enjoy a green learning environment. Next to the policy brief, the project also published a searchable database with good examples, a toolbox for teachers and educators, and a comprehensive pedagogical approach that includes interesting background information about the advantages of green learning environments. In keeping with the theme of the 2018 event, this was the first year that youth were invited to participate. The Congress was held at the Pikku-Syöte Youth and Leisure Centre and the Pudasjärvi Log Campus, giving local youth the chance to join the pedagogues in various outdoor workshops. These activities highlighted the importance of enlisting youth in the formulation and implementation of forest pedagogy. As the world’s future decision-makers, young people must be taught to engage with nature and cultivate a sense of ownership over the environment. One workshop that particularly resonated with Barry concerned the wide variety of forest products and how they can be used sustainably. He was introduced to new wood technologies including pine ice-cream, cloth spun from processed timber offcuts, a wood-based cast to set broken bones that has replaced traditional plaster in all of Finland’s hospitals, and plastic products made from nanocellulose to replace traditional plastic products. In addition to the workshops and outdoor activities, the Congress also featured keynote addresses from four distinguished speakers. A common theme among the speeches was the need for greater youth participation in learning and how pedagogues can achieve this goal. 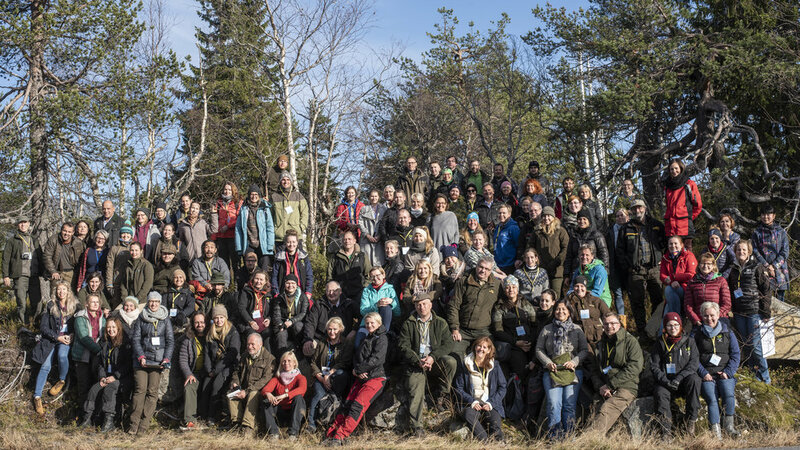 Barry would like to sincerely thank the Finnish 4H Federation along with Sirpa Kärkkäinen and the entire team at the Finnish Forest Association for hosting him at the Congress. The 14th European Pedagogics Congress will take place next year in Latvia. 72 LEAF students and 30 educators from Eskisehir 1. 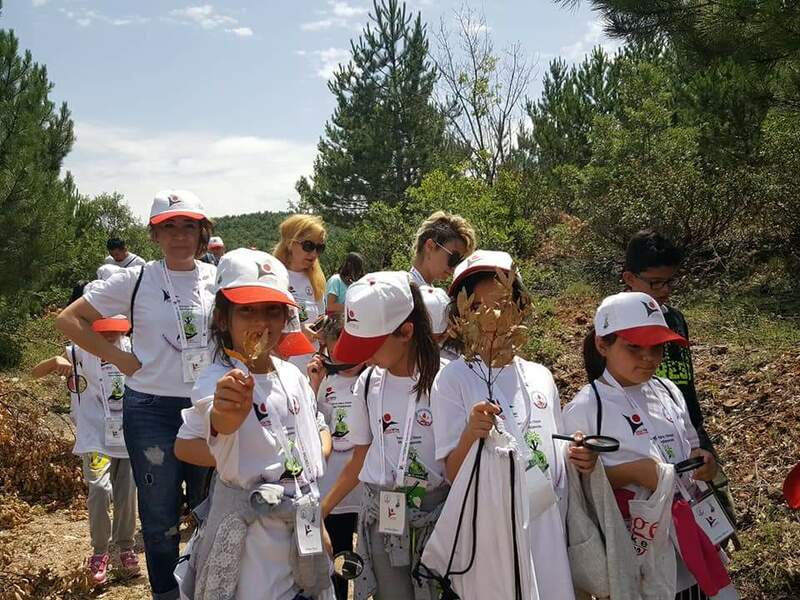 Hava Ikmal Bakim Merkezi Primary School in Turkey recently had the opportunity to participate in a four-day Nature Training Camp held at the Kizilay Hasirca Camp from 26-30 July 2018. The theme of the training camp was "Let Trees be our Trace, Let the Climate not Change." 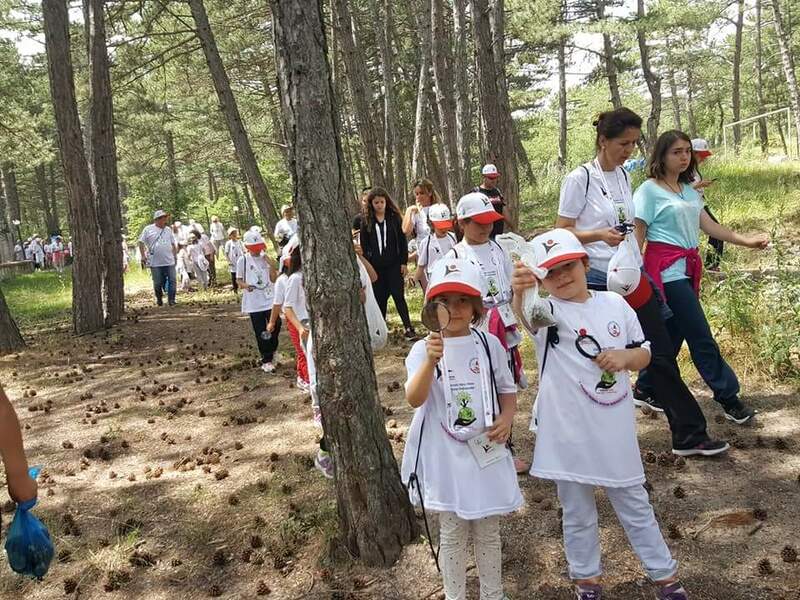 The purpose of the event was to use nature-based activities to build participants’ awareness of the importance of forests in mitigating the impacts of climate change. These activities included games, art projects, sports, experiments, book readings and seminars, all aimed at engaging students and educators with the relationship between forests and climate change. 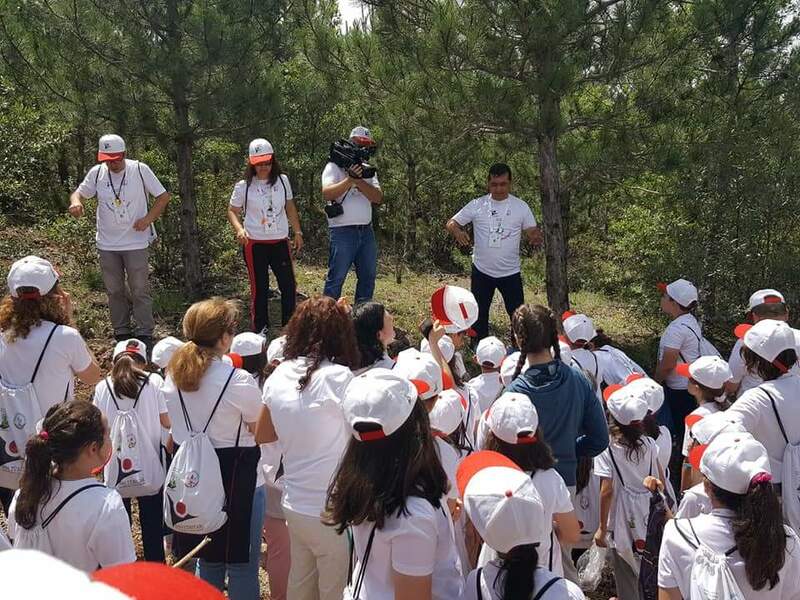 TUBITAK (The Scientific and Technological Research Council of Turkey) conducted the training camp as one of their 4004 Nature Training and Science Schools Projects. The event marked the first time that one of these projects was carried out at the primary school level in Turkey. The photos below show some of the inspiring activities that students and educators participated in during the training camp. Going forward, “A Drop of Hope for Birds” day will be repeated every year as a LEAF programme event. The photos below show LEAF students from Turkey creating and hanging their bird feeders. Fifty-seven schools from all over Greece were presented with the LEAF Award on an award ceremony that was held on March 10, 2018 at the Goulandris Natural History Museum in Athens. The prize was a rucksack, which contained useful tools for schools’ environmental outdoor activities, according to the slogan of the network «Going to the forest and learning from it». Mrs Fali Vogiatzaki, member of Board of Directors of the Goulandris Natural History Museum welcomed all participants (teachers and students), emphasising on the long-term relationship between HSPN and the Museum. Mr Nikos Petrou, President of HSPN and member of the Board of Directors of FEE, underlined the great importance of the participation of students in the global family of the network with thousands of students all over the world contributing to the protection of forests. Barry McGonigal, the International LEAF Director, sent his congratulations to all Greek LEAF schools for their excellent work on the LEAF programme. Mrs Alexia Nikiforaki, Secretary General of HSPN, also welcomed and congratulated all participating schools. Mrs Sofia Kainourgiou, Vice President of the Greek LEAF Committee, made a presentation of the Greek LEAF Committee who evaluated the Greek schools’ reports on the LEAF Programme. Mr Dimitrios Gkotzos, President of the Greek LEAF Committee, referred to the philosophy and the network’s actions. The thirty participating schools (kindergartens, primary schools and high schools) presented their activities from their participation in the LEAF programme through theatrical plays, PowerPoints and videos. At the end of the ceremony, all participants enjoyed the projection of the “Globe” at the entrance of the Museum, which shows pictures of the Earth that have been recorded from space. In addition, the “Globe” shows the geological evolution of the Earth from its beginning until now. The Ministry for the Environment, Sustainable Development and Climate Change in collaboration with Nature Trust-FEE Malta through its international Learning about Forests (LEAF) programme launched the School-Community Link Project Grant Scheme Tree Your Town on January 15, 2018. The ceremony took place at Xrobb l-Għaġin Nature Park and Sustainable Development Centre were a number of indigenous trees were also planted to commemorate the occasion. During the months leading to this day, personnel from the PARKs Directorate were very busy working on a special ramp for mobility-impaired persons to be able to access the picnic area at the park. The ramp was officially inaugurated also on January 15 in the presence of Hon. Jose’ Herrera – Minister for the Environment, Sustainable Development and Climate Change. In a bid to further assist schools and the general public gain more insight on the importance of trees, Nature Trust–FEE Malta in collaboration with the Environment and Resources Authority (ERA) and BOV launched the book Trees and Shrubs of the Maltese Islands. "At BOV, we have collaborated on various initiatives with Nature Trust. All projects had the aim of conserving Malta's indigenous flora and fauna", said Charles Azzopardi, Executive PR & Marketing at Bank of Valletta. Mr Azzopardi explained that through its extensive Community Relations Programme, the Bank invests heavily in the local community, including in the green stakeholder, to which specific reference is made in the Bank's mission statement. Referring specifically to the publication, he thanked Nature Trust and Dr Eman J Calleja for their efforts saying, "This publication has a critical role to play in cultivating an environmental consciousness among the general public, and therefore is an important contribution both from an educational as well as environmental perspective." The book is authored by Dr Eman Calleja and a copy of each book was also distributed to each participating school as a reference guide for their Tree Your Town scheme projects. During this school year, fourteen LEAF schools will benefit from the scheme. The scheme seeks, on the one hand, to initiate a working collaborative relationship between schools participating in the LEAF programme, their Local Council and other major stakeholders in the school community. The respective parties will work together to identify a derelict site within the confines of the locality and with the assistance of experts devise and implement a water efficient soft landscaping project. On the other, its aim is also to foster love and respect for trees irrespective of the place they occur. It is intended to be a journey that sensitizes the community to appreciate the environmental, the economic and the socio-cultural benefits of trees. During November 6-12, the Foundation for Environmental Education (FEE) once again invited everyone around the world to participate in promoting their work through FEE Global Action Days. The Global Action Days are meant to be for all students, teachers and communities around the world to actively share their activities towards being more sustainable in their everyday lives. On 10 November, the FEE Head Office staff gathered to collect all the inspiring and positive actions from across the world and shared them on all our social media platforms, promoting sustainable development and awareness-raising activities. During the Eco-Schools National Operators Meeting that took place in Paris from November 17-20, International LEAF Director, Barry McGonigal, introduced the GAD initiative and presented the results from the sharing actions performed by the FEE Head Office during November 10. Facebook, Twitter and Instagram results after the first GAD in November 10. The next FEE Global Action Days will take place during 16-22 April, 2018. Save the dates and plan your actions for next year’s #FEEGAD! Until then, you can join our Facebook group to stay up-to-date! 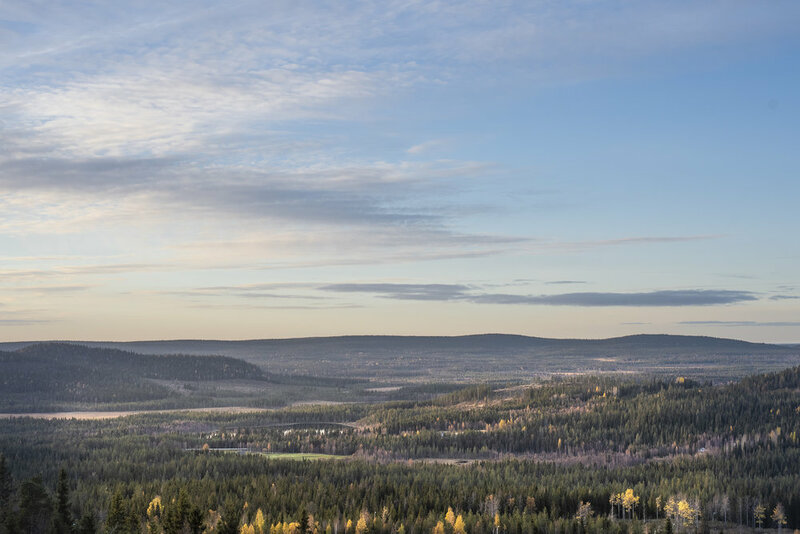 Tree species in Norway (Treslag i Norge) is an application that allows you to identify the most common tree species in Norway. The target group is pupils and the explanations are therefore based on images, and not so much on words. The app is meant as an aid throughout the whole year. The species are presented with a complete set of pictures from all four seasons: buds, leaves, flowers, fruit, bark and branches, in addition to the whole tree. You may also identify your tree by using identification keys. Two different keys have been developed, one for the leaves in summer and one for the buds in winter. Not everyone is familiar with the biological terms of leaf and bud identification, therefore each choice is illustrated. This tree identification app was developed by the Forestry Extension Institute in Norway. It is available for free on mobile phones and tablets for both Android and iOS operating systems. The language of the application is Norwegian but can still be used by others, due to the many images and illustrations. As an aid, a short instruction manual in English has been made. You can download it by clicking here. Two schools in Trinidad have applied to complete the LEAF programme in accordance with the LEAF cycle. Asclepius Green launched the LEAF programme in 2015 and has facilitated several LEAF related activities in five schools over the two years. Now, Asclepius Green is happy to welcome the University School and Fast Learners Academy into the full cycle of the LEAF programme. So far, both school have participated in the LEAF workshops geared towards orienting teachers and parents about the LEAF methodology, how to set up the forest committee and how to record and enter data required for the LEAF application. The participants came up with creative and innovative ways of engaging the students in activities throughout the entire year using Math, Science, Social Studies and Arts. Fast Learners Academy will implement the programme using one class as the pilot focusing on Energy and Recycling. The University School has expressed their delight in participating in the LEAF program because of their commitment to enlightened and self-reliant children and believe having moral and cultural values produce caring and nurturing members of society. What is also special about the University School is the entire student population will participate in the LEAF cycle for the entire year. For the tree planting exercise on September 21, there were over 303 students, teachers and parents participating. The school had a Special Assembly and Ceremony that comprised of tree planting, formation of the peace sign, prayer, and singing the Jackson Miller classic "Let there be peace on Earth". In Tobago, LEAF National Coordinator joined the Secretary for the Division of Infrastructure, Quarries and the Environment and former President of Junior Chambers International (JCI) Tobago Chapter, Councillor Kwesi Des Vignes and the current JCI President, Ms Brettney Romeo and the two Tobago schools, Bishops High School and Tobago International Academy, to celebrate the annual symbolic event. Asclepius Green would like to take this moment to specially thank the two Forestry Divisions for assisting us in locating the tress and thanks to Semaphore Signs BV in the Netherlands for donating the LEAF promotional materials to Trinidad and Tobago in an effort to create programme visibility and increase participation in FEE programmes. Here it is! The long-awaited toolkit for fifth grade pupils (aged 10-11) called "Under the Sky of the Earth" has just been sent to more than 320 schools which are involved in LEAF in Czechia. And what can pupils and teachers look forward to? The annual plan of learning activities is again accompanied by six students from a fictional Forest Class. Their characters were made to reflect six common student types according to the Myers Briggs Type Indicator, so we really see students identify with some of the types, which keeps them motivated. Pupils can enjoy a lot of new discoveries and experiments, especially outdoors in nature. They will recognize various forms of the forest in different climate zones, discover new continents, taste food that grows in forests around the world and understand how plants and animals adapt to different conditions. They will observe selected habitats of our mild climate zone and compare it to other areas, play with evolution, and finally make a picnic full of exotic as well as home grown fruits. "In this new toolkit we´re showing pupils the diversity of nature on different examples. We want to stimulate their curiosity" says Jan Fronek, national LEAF coordinator. Before this resource was published, it had been tested on approximately 200 children in 10 selected schools during one school year. It also included learning impact evaluation, which showed that there was a measurable increase in pupils' understanding of the phenomenon of adapting organisms to different conditions. "The children were incredibly excited and I saw they wanted to know more," says Katka Vrtiskova, a teacher who tested the toolkit with her pupils during the last school year. Foundation for Environmental Education's member organisation Wildlife and Environment Society of South Africa will officially run the LEAF programme in South Africa. WESSA implements effective environmental, ecotourism, education and youth development programmes throughout South Africa. The organisation improves the school curriculum through education for sustainable development and provide critical work skills training, which creates job opportunities and sustainable livelihoods in local communities. WESSA's environmental initiatives contribute towards the restoration of ecosystems, while its ecolabels support tourism growth and development by encouraging responsible tourism practices and the improved management of coastline. Learning about Forests Programme is now present in 26 countries around the world! Find all LEAF National Offices on our website. Norway has recently completed its first national Forest Games. The Forest Games is a competition in forest knowledge and outdoor activities, where all fifth grade pupils are invited to participate. Hundred schools throughout the entire country signed up, involving 2550 pupils. The first rounds were performed in the forests nearby the participating schools. Pupils participated in various activities, solved riddles and submitted reports with documentation of what they have done, found and learned. Many of the reports were made in a very beautiful and creative way, showing that the nature had inspired the classes. Based on these reports, 17 county winners qualified for the final. On June 14, the final competition was held at the National Forest Museum. Each team was formed by four pupils. Without assistance of any kind, they had to complete various tasks. The pupils were tested in their knowledge of tree species, flora, insects, birds and bird sounds, animal tracks, wooden products, and waste management. In addition, their practical skills were tested, as they for instance had to shoot with air guns, tie a fly for fly fishing, row a boat, and make a bonfire. In other words, winning the Forest Games required versatile skills in forest knowledge and outdoor life. Becoming the best school also required good cooperation within the team, and creativity. The Forest Games is a collaboration between Forestry Extension Institute, Hamar Nature School, National Forest Museum, and Norwegian Forestry Society. The purpose is to increase the knowledge about forests and forestry among both pupils and teachers. Further, the goal is to give teachers ideas and inspiration to increase outdoor learning at school. More than fifty percent of the world’s population lives in an urban environment. Tiny Forests and trees in the city help the urban population to stay connected to nature while improving their lives with better air quality and lower instances of flooding. Our member organisation in the Netherlands IVN has a significant experience in planting and maintaining Tiny Forests. Watch the video about the creation of the first Tiny Forest in the Netherlands. Find out more about Tiny Forests in the Netherlands here. Is forest increasing more that it is being harvested? Can lady tights be made out of wood? Which are pine and which are spruce seeds? This year, teams of the final of Forest Olympics had to show their strength in two rounds – in the active and educational orienteering competition and in the presentation of creative performance. To participants’ minds the most memorable tasks from the 30 in the orienteering competition were the riddles in the Witch's Forest of the Nature Park, sawing the birch disc to precise 400 grams, and also recognising products that contain wood, which surprised not only children but also teachers with the wide possibilities of wood use. To find out more about this wonderful event, please read the full report here. The Learning about Forests National Operators meeting 2017 took place on 24th-26th April in Amsterdam, the Netherlands. The LEAF NOM is an annual event where the status and developments of the LEAF programme are discussed alongside innovations in the sector and plans for the future. Sustainable Development Goals (SDGs) - The role of Foundation for Environmental Education in promoting the SDGs worldwide with specific emphasis on what can be achieved through the LEAF programme. Tiny Forests -The importance of urban forests and trees to battle climate change and stimulate biodiversity. A concise document linking the LEAF programme to each and every SDG will be circulated soon and will include the insightful feedback which arose over what was an extremely productive few days. The Tiny Forests initiative was very well received by the participants and there was a firm consensus that the LEAF programme should look towards integrating the concept into its plans for the future. Thank you to everyone who made the event such a success through their active participation and engagement! Time to act and help the environment! The Global Action Days is a campaign by the Foundation for Environmental Education's Learning about Forests programme that invites students and teachers to come up with innovative ideas that raise awareness, create positive change, help the environment and lead to a more sustainable future. These ideas are put into action on a chosen date each year, collectively known as Global Action Days. Schools are invited to share their ideas for action and positive stories on our website and social media sites. Global Action Days are open to all! Schools and students both within and outside the FEE network are welcome to get involved. Join thousands of students around the globe and show that together we can make a difference! Join us! 21 March, LEAF Global Action Day, to coincide with International Day of Forests! Schools are welcome to select another date to suit their needs. It’s all very simple! Plan your action, document the action by taking pictures, making a video or writing an article, register your school online and SHARE with the rest of the world on our Global Action Days Facebook page . Students from Carnane National School, Co. Limerick participating in An Taisce’s Learning about Forests (LEAF) programme celebrated Tree Week, Friday 10 March, at Coillte’s Curragh Chase Forest Park, Co. Limerick. The LEAF programme explores forests as a whole and looks at topics such as biodiversity, water, climate change, products and community and actions students can undertake to help protect and enhance our forests. Rachel Geary, LEAF National Coordinator said ‘The team is thoroughly enjoying working with the schools, exploring how schools can engage with this exciting new programme in a meaningful and fun way’. The programme also recognises the importance of tree planting and giving students the opportunity to sow seeds for the future. An Taisce teamed up with the Tree Council of Ireland and Coillte to provide native saplings for Limerick schools participating on the LEAF programme and took part in a tree planting ceremony at the forest to celebrate Tree Week. 240 native saplings were distributed to 15 of the participating schools, in Co. Limerick, for planting in their schools grounds and the wider community during Tree Week. A further 60 saplings were planted in Coillte’s Curragh Chase Forest Park during Tree Week with three of the schools that visited the Curragh Chase for their Forest Based Workshops. These interactive workshops aim to reconnect the students with their environment, educating them to be more conscious of protecting it and instilling in students a sense of ownership of the natural world that surrounds them. This year the emphasis is on Coillte’s Curragh Chase Forest Park as a focal point for training and events in the region. The park, which is managed by Coillte, covers 313 hectares of mixed woodlands, park land and lakes which together provide a rich habitat for a diverse range of animals and plants. Pat Neville, Coillte said ‘Coillte are very proud to be associated with An Taisce’s Learning about Forests programme and are delighted to offer our forest park in Curragh Chase as a venue for school children to learn more about forests and the natural environment in a wonderful outdoor setting’. From left; Kay Hartigan from The Tree Council of Ireland, Bernard Burke from Coillte, Rachel Geary, LEAF National Coordinator and Matt Kelleher from Mulkear Forestry. LEAF Ireland would like to thank Coillte and the Tree Council of Ireland for their support. The LEAF Limerick project has been made possible with a grant from JS Greene Memorial Foundation. Find out more about LEAF Ireland on their website. More amazing pictures from Ireland can be found on Flickr.